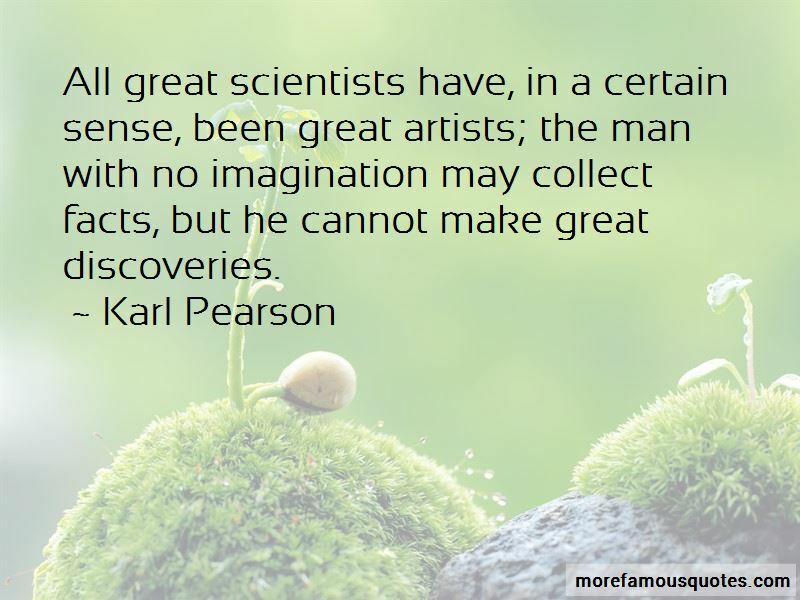 Enjoy the top 21 famous quotes, sayings and quotations by Karl Pearson. There is nothing opposed in Biometry and Mendelism. Your husband and I worked that out at Peppards [on the Chilterns] and you will see it referred in the Biometrika memoir. The Mendelian formula leads up to the 'ancestral law'. What we fought against was the slovenliness in applying Mendel's categories and asserting that such formulae apply in cases when they did not. 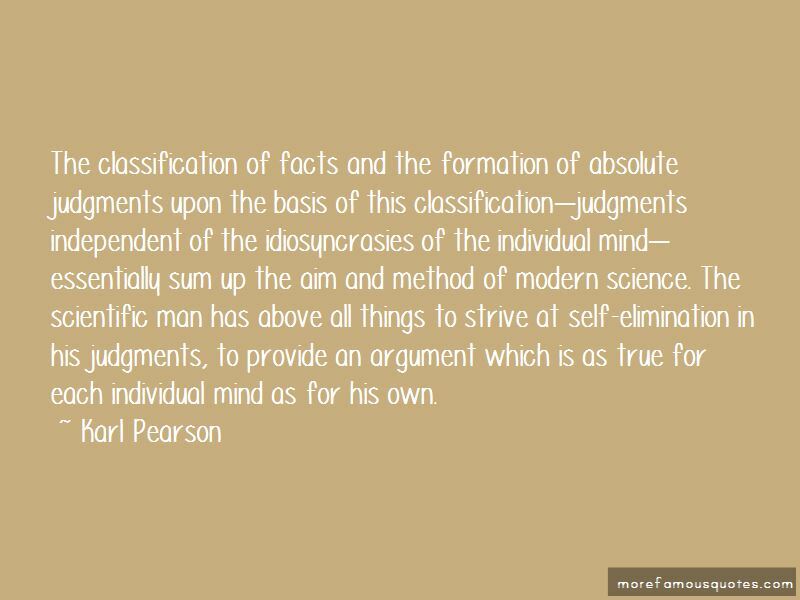 The classification of facts and the formation of absolute judgments upon the basis of this classification-judgments independent of the idiosyncrasies of the individual mind-essentially sum up the aim and method of modern science. The scientific man has above all things to strive at self-elimination in his judgments, to provide an argument which is as true for each individual mind as for his own. All great scientists have, in a certain sense, been great artists; the man with no imagination may collect facts, but he cannot make great discoveries. There is no shortcut to truth, no way to gain knowledge of the universe except through the gateway of the scientific method. 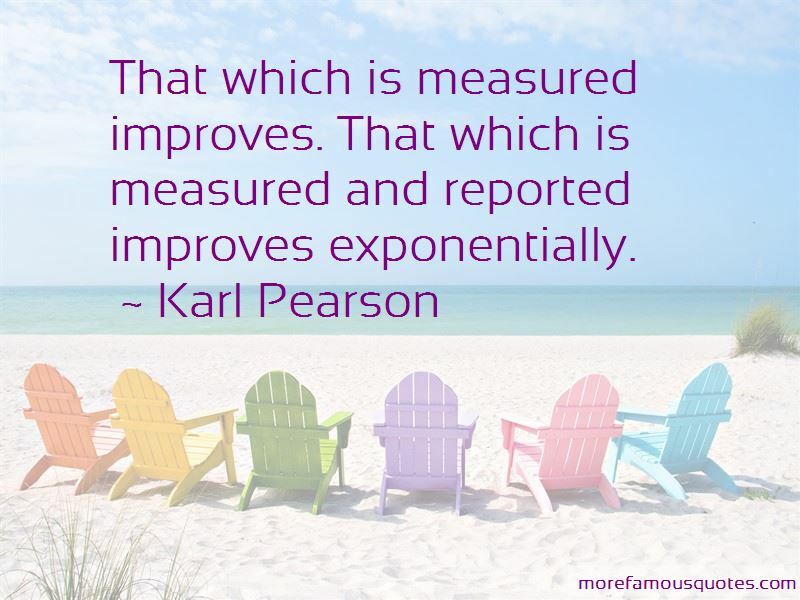 Want to see more pictures of Karl Pearson quotes? 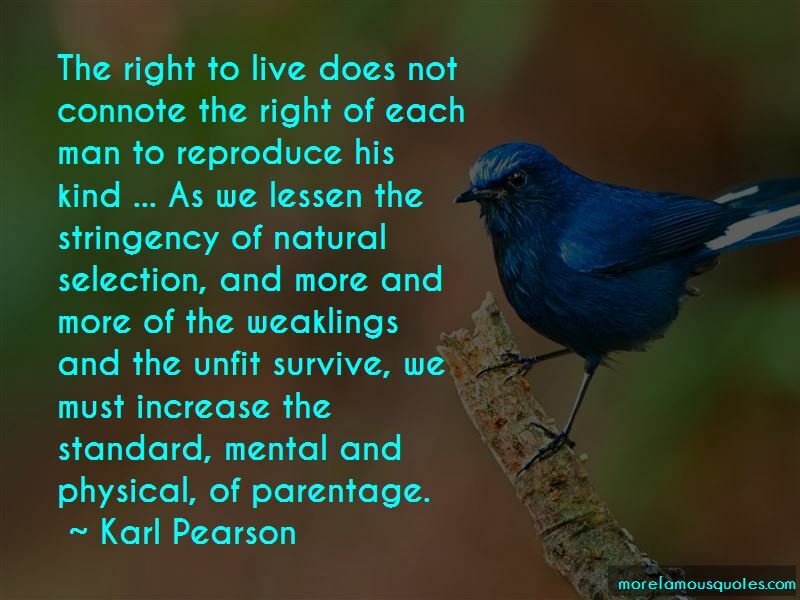 Click on image of Karl Pearson quotes to view full size.